You are standing next to the clock tower of the former Great Northern station. It is one of the few surviving remnants of Havermale Island as it was from the first years of the 20th century until Expo '74. Though it is one of the only remains of Spokane's industrial Havermale Island, it stands today as a reminder of the railroads that built Spokane into a thriving city. Spokane, like many towns in the American West, was transformed by its rail industry. The city's growth depended on the commerce and capital of railroads. 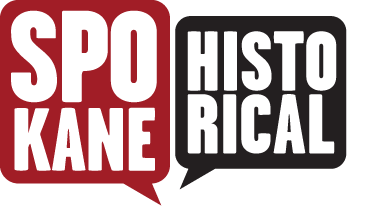 Early on, Spokane relied heavily on the rails potential to bring in tourists and new residents. The Northern Pacific rail line connected the small town of Spokane to its web of routes in 1884. 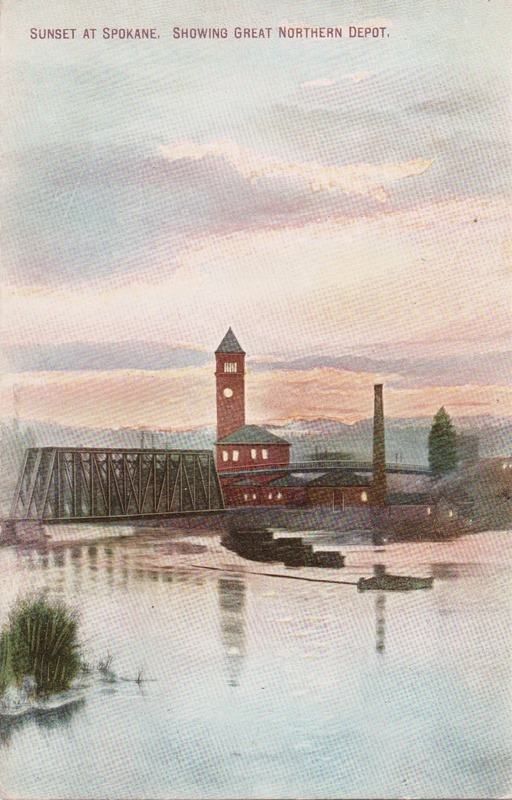 In its own traveler's guide of 1889, the railroad spent more time praising bucolic fishing and the roar of the falls than the city's industrial potential. Spokane was a picturesque tourist destination among the basalt columns and pines. Naturally, local boosters saw it differently. In their own promotional guide, "the date from which the growth of the city is to be counted" was 1884 rather than 1873. And, further, that growth would be in the manufacturing of timber and agricultural products and not tourism. 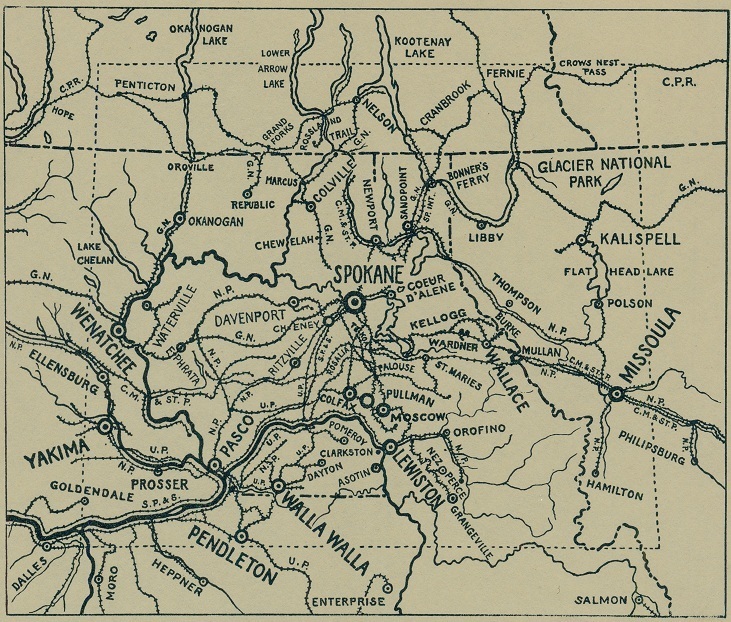 Even more important was the rail connection to the mining districts of northeastern Washington and northern Idaho. To boosters, this made Spokane far more important than "Denver, Salt Lake, Butte or Helena" because "those cities are drawing on Spokane's tributary mining districts for supplies of ore."
Within a decade, local rail lines began to radiate out to the mining and agricultural hinterlands and additional transcontinental lines passed in or close to the city. Men poured in to work on these projects. From Spokane, the Central Washington Railway embraced the country of the Big Bend of the Columbia in 1890. Shooting northward, the Spokane International Railway crossed the Canadian border and joined with the Canadian Pacific line and the mining country of the Canadian Kootenays. The Great Northern Railroad sited a rail yard at Hillyard and a grand station in central Spokane. 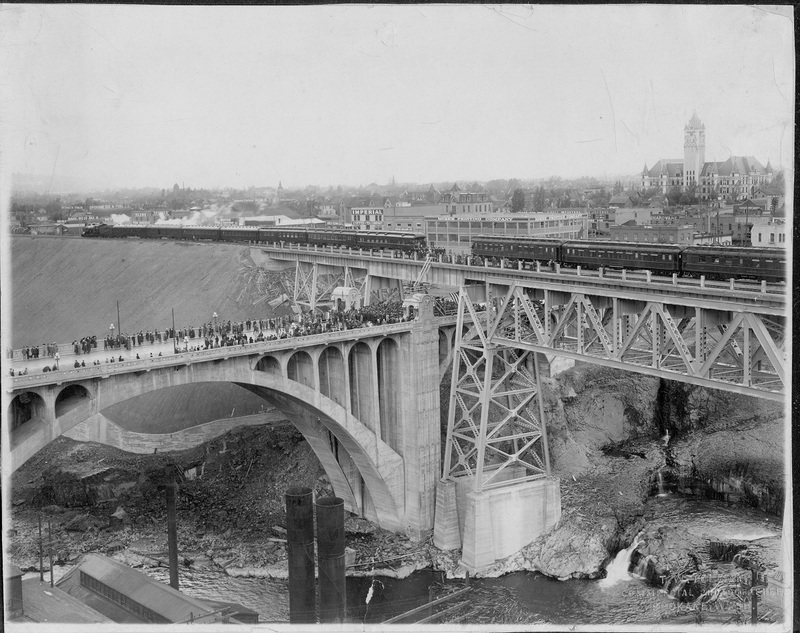 In 1914, the Union Pacific and Milwaukee Road finished construction on a viaduct which hugged the Spokane River before crossing to a new artificial hill on its north bank. The completion of this viaduct, even though it further hid not only the falls but also the new Monroe Street Bridge, was greeted with great fanfare by the community and the railroad companies. Unknown to Spokanites, it was also to be the last hurrah of the rail boom. As new construction slowed, so too did the frantic growth of the city. Trains would clatter and bustle over the Spokane River for another fifty years, transforming the city by increments rather than leaps and bounds. By the 1970s, many began to see the heavy downtown presence of the rails as a nuisance. 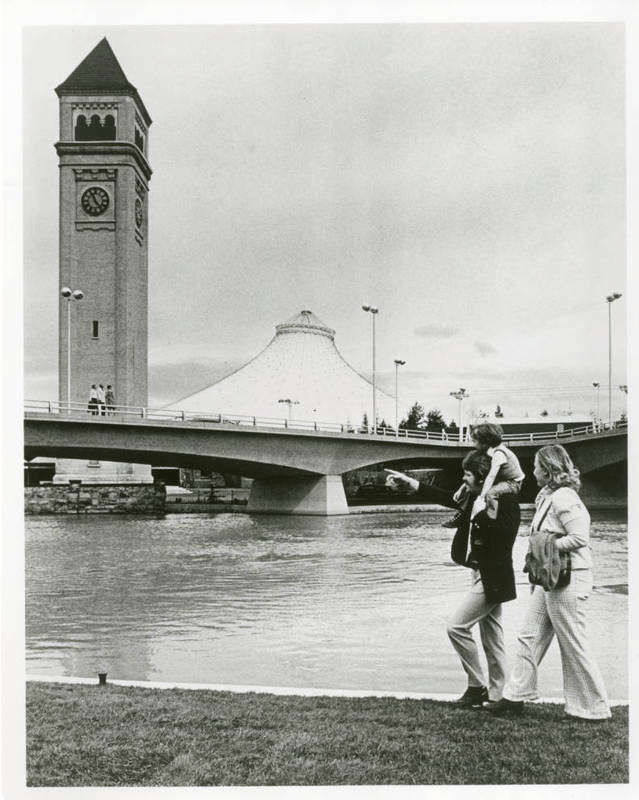 The major rail yards established on the banks of the Spokane River were removed to make way for Expo '74. Today, Riverfront Park stands where the heart of Spokane's industry once stood. The Great Northern clock tower reminds visitors of the city's history and its booming rails. Havermale Island in the late 1960s: This aerial view shows the final phase of Havermale Island's transformation into a transportation hub. Union Station and Great Northern Station face each other across the river as parking lots and warehouses crowd the center of the island. Source: Spokane Public Library, Northwest Room. Great Northern depot and tower in the late afternoon: An artistic, early view of the Great Northern depot and tower on Havermale Island. Taken c. 1920. Source: Spokane Public Library, Northwest Room. 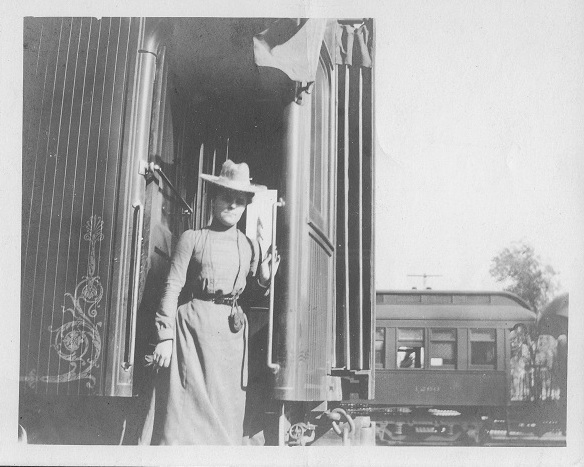 Woman descending from Pullman car: Pullman cars were the standard for upper class and upper middle class travel during the late 19th century and the first decades of the 20th century. This anonymous woman is exiting a car in Spokane c. 1900. Source: Spokane Public Library, Northwest Room. 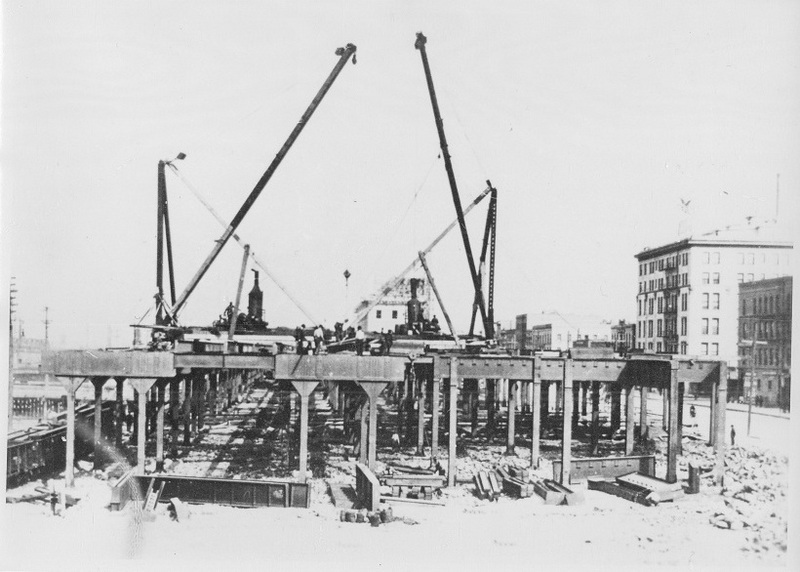 Milwaukee Road Viaduct Under Construction: The viaduct carrying the Milwaukee Road and Union Pacific both connected downtown Spokane to the wider world and formed a wall between it and the Spokane River. 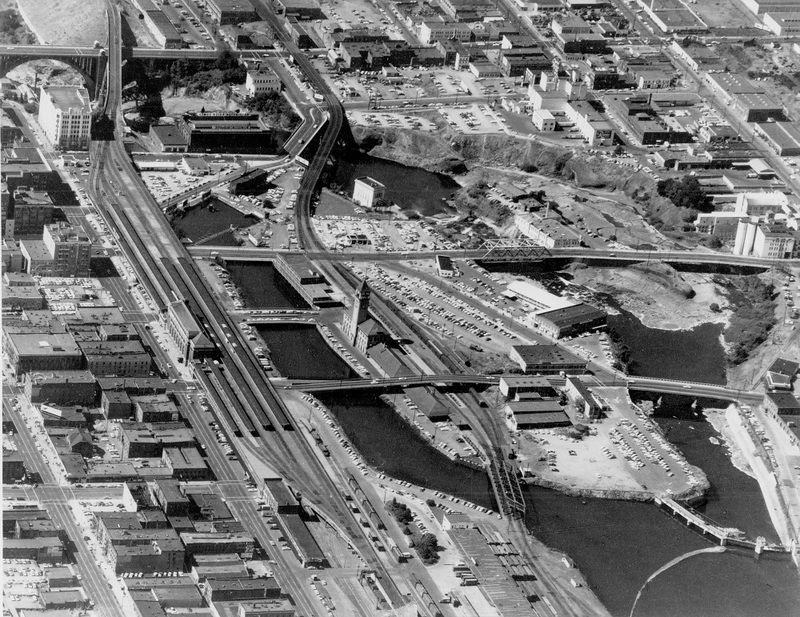 So keen were city boosters to attract railroads that the viaduct was allowed to partially cover the Monroe Street Bridge. Taken in 1914. Source: Spokane Public Library, Northwest Room. Spokane as a rail hub: A railroad map showing routes and divisions radiating from Spokane to the Columbia Plateau, Canadian Rockies, Glacier National Park and the Palouse. c. 1920 Source: Spokane Public Library, Northwest Room. Dedication of the Milwaukee Road/Union Pacific Viadcut: A crowd watches the dedication of the Union Pacific/Milwaukee Road bridges and viaduct over the Spokane River and Monroe Street. Taken September 15, 1914. Source: Spokane Public Library, Northwest Room. 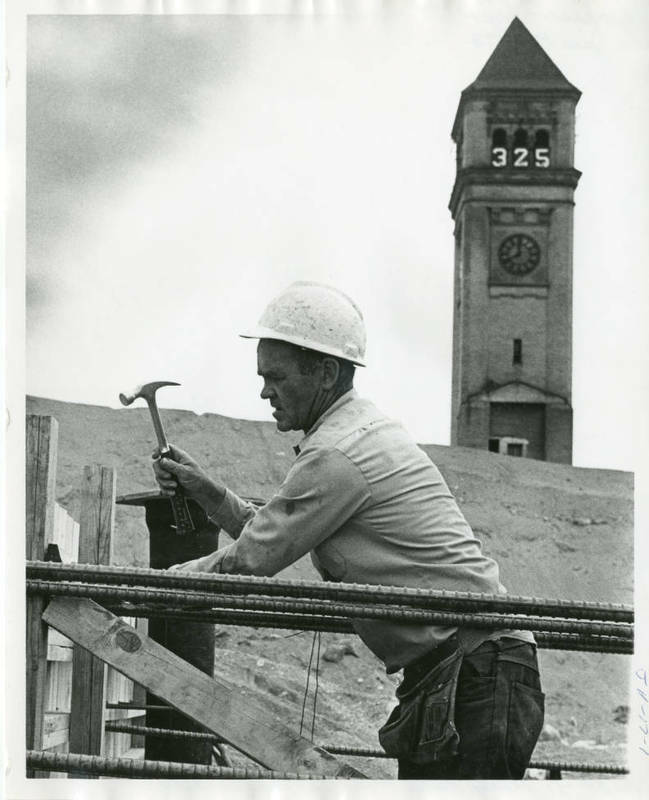 Clayton Hanson, “The Great Northern Clocktower,” Spokane Historical, accessed April 20, 2019, https://spokanehistorical.org/items/show/95.